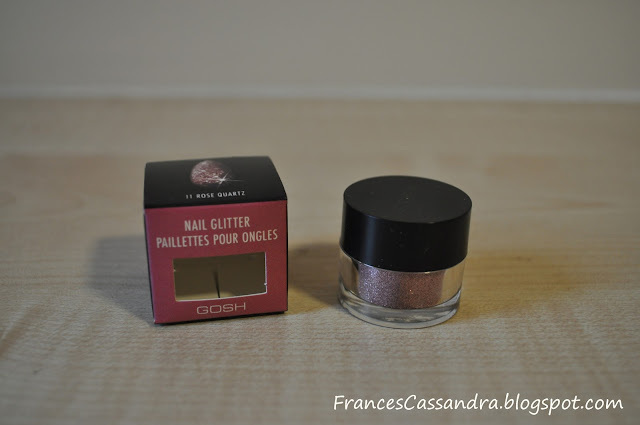 After seeing Fleur's post about Gosh Nail Glitters this morning, I was intrigued. I had been dancing around buying Models Own Glitter Nail Polish in Pink Fizz for a while, but hadn't yet because they aren't stocked in my local boots and I just had never gotten round to ordering it online. 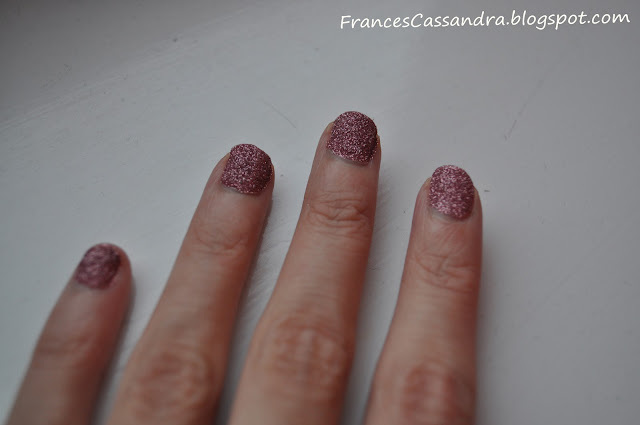 So I had a look in Superdrug and I found the Nail Glitter in Rose Quartz, and it instantly reminded me of Pink Fizz. At £3.99 it is £1 cheaper than the Models Own nail polish so I thought I'd give it a go. I think it looks so pretty on the nails! The application is a little bit messy, I ended up with a glittery desk as well haha. All you have to do is apply a base coat and then dip your nail into the pot of glitter before the base coat dries so that it sticks, and then just wipe the excess glitter from around the nail. 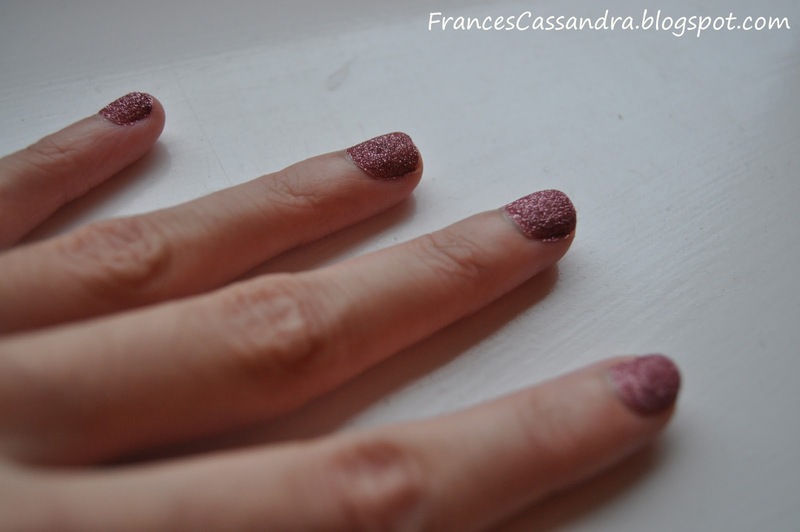 You can rinse your hands when you're finished to get rid of any glitter on your hands. I think the Models Own nail polish would be more convenient in terms of application and staying power; I can't imagine this nail glitter lasting more than a few days due to the lack of a top coat.